Jasmine Cottage is the longest established self-catering holiday home in Wiltshire, providing quality accommodation since 1981. Sympathetically modernised, Jasmine Cottage dates from the late 18th Century and is near to the centre of one of the most picturesque villages in Wiltshire. •	Centrally located for visiting the Cities of Bath, Salisbury and Wells as well as Stonehenge, Avebury, Silbury Hill, the National Trust Village of Lacock, Castle Combe, Stourhead Gardens, Longleat House and Safari Park and much, much, more……………………. •	Comfortably accommodates 2 to 6 people in 3 bedrooms. •	Annually independently inspected by the National Tourist Board (Enjoy England) - awarded 4 STARS. Winner of Rose Award for Customer Care. •	Easy walking distance to pub, restaurant and village shop. •	Open wood burning fire with free supply of wood. •	Fully equipped kitchen including dishwasher, washing machine and tumble dryer. •	Free Parking available directly outside the Cottage. •	Free Wi-Fi broadband internet access – please bring your own laptop computer. •	No hidden charges, the all-in price includes all fuels, logs for the fire, hire of bed linen, end-of-let cleaning and all taxes. Prices range from £599 to £899 per week, depending upon season. Fully equipped for cooking and dining for 6 people. Fireplace (free supply of wood), free unlimited Wi-Fi, Multi-channel TV, Bed Linen and Towels provided. On the plus side, the cottage was warm and comfortable, with good beds and plenty of spare bedding, plus many power outlets and coat hooks and a good range of leaflets about local attractions. We were personally pleased to find a cottage without superfluous ornaments. The owner reacted very quickly and positively when we had a problem, resolving it within the day and keeping us fully informed. On the negative side, the first impression was poor - the front garden was overgrown and an overflowing box containing the previous week's recycling was outside the front gate and not due to be collected by the council for a week. We also noticed a number of ways in which the cottage could be improved at little cost. There was only one (glass) chopping board in the kitchen, which was very restrictive - a couple more wood or plastic ones would make a lot of difference. The cooking knives were very blunt and the bread knife was short and too flexible. Only one tea towel was provided, which was awkward for 2 and would be totally inadequate for 6. Finally, we rent cottages 2 or 3 times a year, and this was the first we can recall in which there was no welcome pack - normally there is a tray with at least tea, milk and biscuits/cake, and often flowers as well! Thank you very much for your kind comments and also the constructive comments on how we could improve our offering to future visitors. Below are our responses to them. 1. The front garden has been designed as an 'English Cottage Garden' which means that it may look to some as stuffed with various plants in an irregular way, but that is the way it is intended. 2. The cleaner who left the recycling box out on the wrong day and only left 1 tea towel rather than 3, has been reminded of the correct procedure and she apologises. 3. Thank you for bringing the chopping board and knives to our intention, we have replaced the knives and provided a second cutting board. 4. With respect to the 'welcome tray' we have found several problems with the provision of this in the past, e.g. which milk do we provide - full fat, skimmed or semi skimmed? Do people wish to pay an extra amount, included in the rental, for things which they do not like/want? We try to keep our prices low in this very competitive market and decided against the provision of such extras and these are not mentioned in our marketing. 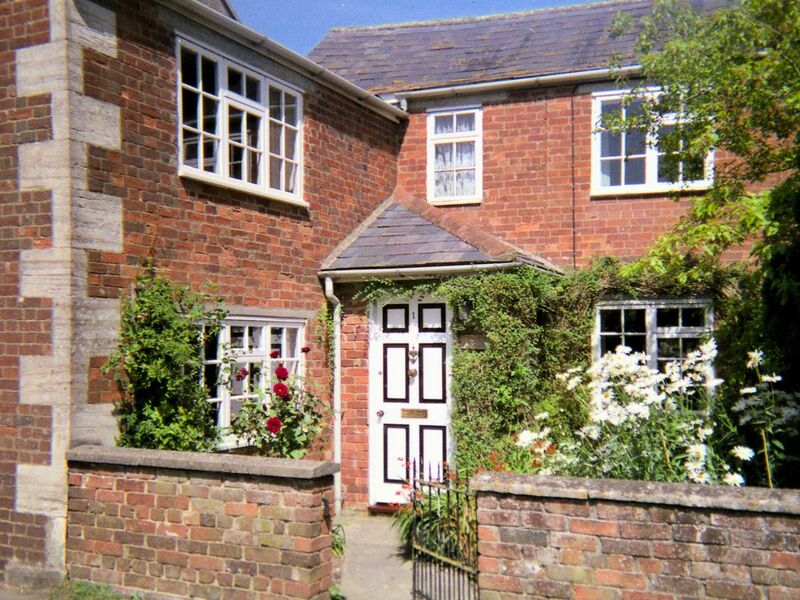 All in all though we are very pleased that you found the Cottage comfortable and enjoyed your holiday in Steeple Ashton. Jasmine cottage did not disappoint! A superb cottage which was very clean and comfortable and extremely well equipped. It was so lovely to come back to this property each evening after collecting our daughter from University in Bath and be in such a pretty rural village. Jasmine cottage is also an ideal base for visiting lots of interesting places within an easy drive. We will certainly recommend this property. A lovely, quaint, and spotlessly clean cottage. Our children were thrilled to have their own bedroom, and it was nice to have a kitchen and laundry facilities. Steeple Ashton is a very friendly village and a great location to act as home base to tour the area. We loved the heated beds! Jasmine Cottage is very comfortable and welcoming, and excellent value for money, we would highly recommend it. There was everything we could wish for to make our week's break one of the best we've had in the UK. The owner is extremely helpful and prompt with replying to our emails and kindly provided at the cottage a lot of leaflets and information on things to do and see in the area which was very thoughtful. Regarding nearby places to visit, Bratton Camp is a must - the views are breathtaking. Bradford on Avon is a lovely town and well worth a visit (The Saxon Church, The Tithe Barn and St Mary Tor should be on your itinerary). Corsham is a lovely town too. Avebury, West Kennet Long Barrow, Lacock, Silbury Hill, Woodhenge and Durrington Walls are all impressive places to see. Steeple Ashton itself is lovely to explore and has some fabulous walks. The Long's Arms public house does a couple of very delicious vegetarian dishes! We loved our stay at Jasmine Cottage for these reasons. It met our expectations of a quiet and quaint village, which was fun to explore. St. Mary's church is a lovely jewel there. The pub was gourmet and delicious (not particularly cheap) but worth it. The pub was surprislingly busy and doesn't serve food every night, so do your homework and make reservations. The villagers very friendly and helpful. The village is PERFECTLY and centrally located to Bath, Cornwall, Wales, The Cotswolds and many treasures of Wiltshire including Avebury Stones, Stourhead Gardens, Lacock Village, Nunney Castle and Stonehenge. The cottage itself is comfortable, and very quiet from 11 to 7 at night - we slept great! Each bedroom has it's own vanity table with mirror and plugs, making it easy to share the one bathroom. Plenty of hot water! Kitchen was well stocked and easy to use. Norman was available and very helpful at answering our questions, including where to eat in the area. Be sure to bring in groceries as there is no place really close by to get anyting other than Trowbridge. (15 minute drive). We loved Jasmine Cottage and would absolutely stay there again. It was a pleasure to have your party as guests. From the pictures you sent, it is clear that you all had a very good time. Historic and Prehistoric sites, Gardens, National Trust Properties, Fitness Centre, Gliding. The Local Pub/Restaurant and Village Shop/Café are within 4 minutes walking distance!